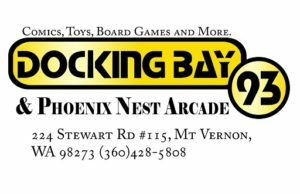 Every Friday night at six o’clock we host FNM (Friday Night Magic) in our game room. We typically run two formats every Friday night in two separate but concurrently running events. We do this so players have more options and splitting the event makes our tournaments run a lot faster, which was a side affect that we did not plan on but have come to appreciate. This Friday (and likely all others) we will be running Standard format, cards legal to use must have been printed in the following sets: Dominaria, Rivals of Ixalan, Ixalan, Hour of Devastation, Amonkhet, Aether Revolt, and Kaladesh. There is a small ban list which you can find HERE if you scroll down. Also if you click on the set banner as you explore Wizards of the Coasts website you can find the stories that guide this exciting game and take you through the narrative of Magic the Gathering. Every Standard Event will have an OPTIONAL $5 buy in. We offer this as an option to encourage newer players to join in without risk and to encourage people to play the game in a more casual form, that is by no means required of course, there is after all a goal to win in the end, we also understand that for newer players this sometimes has to be a slow buildup to temper a really great deck. However if you do buy in, you will qualify to be included in the booster pack prize pay out in the end if you place highly enough in the tournament. Additionally, payout for prize support will be in booster packs with participation promos given out to those who do not win boosters via their strength of record. (Prize boosters are usually paid out to the top 50% of the tournament after 3 rounds of play) We may also cap attendance for this event so signing up early is always encouraged. All MTG tournaments are run using Swiss style pairings. We may run a top eight single elimination play off if our Standard Event attendance exceeds 24 players. All MTG FNMs will include promo cards for participation or winning first or second place for anyone that does not win booster packs. All MTG FNM Event Rounds or Draft will begin at 6:30pm. We encourage you to be here by 6pm to get registered. 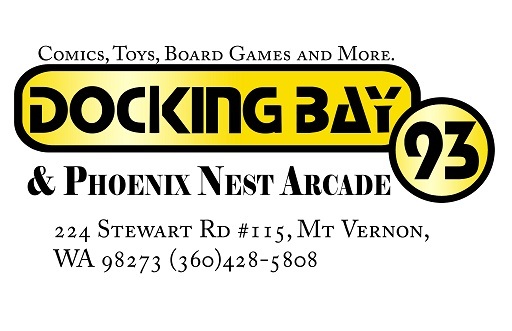 But feel free to come down early and make use of our game room for game, testing, trades, or just hang out.